Terri Janke is an Australian Indigenous lawyer specialising in commercial law and Indigenous Cultural and Intellectual Property (ICIP). 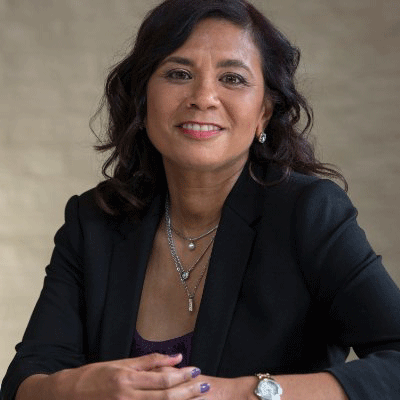 Her firm, Terri Janke and Company, empowers Indigenous people to achieve their creative and cultural goals by giving strategic advice on ICIP, intellectual property, contracts and cultural protocols. Terri has written the leading Australian ICIP protocols in arts and film; and has influenced Australian policy and practice by her many reports and papers. The firm’s recent projects include developing ICIP models for museums and galleries, TK databases and construction projects. Terri was born in Cairns and has family connections to the Torres Strait Islands (Meriam) and Cape York (Wuthathi). Terri’s contribution received the esteemed national award of NAIDOC Person of the Year in 2011 and was recognised as a leader in Indigenous business by being award the Supply Nation Special Recognition Award in 2015.